Have you seen one of these critters in your yard? It looks like a scorpion roach on steroids! This true bug was found in the backyard of one of our Frisco neighbors. If you are closer to the coast or near bodies of water, you may have seen this beneficial bug as it is more prevalent near large bodies of water. With all the rain we’ve been having why wouldn’t they be here? This predator bug is called the Giant Water Bug: From the Hemiptera Family Belostomatidae, the species name is Lethocerus Griseus. We know it is scary looking however, we like this bug because they kill mosquito larva! As you can see from the picture this bug looks like a roach with claws. The claws are actually what this insect uses to catch and attack his prey. He has a length of almost 3 inches. According to the Extension Horticulture department at Texas A&M University, this bug can grow up to 4 inches. Although not poisonous, due to the large piercing mouth part, if bitten it will be painful and may cause an allergic reaction. This insect predator has also been known to take down small snakes. If you encounter one keep your distance, he is doing his job! 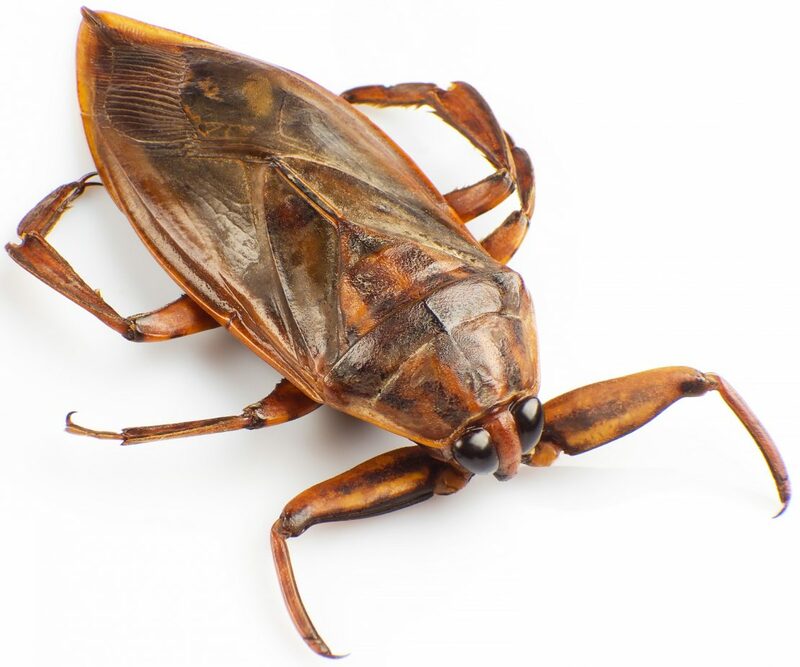 To learn more about the Giant water bug visit this site. Check out this video we found!